Here are a few things for FANS ONLY to download. Not everything I write turns up in the Ballpark Mysteries books. Sometimes ideas or scenes don’t end up fitting into the books, or get taken out in the editing process. That’s why I thought I’d post some “deleted scenes” from the Ballpark Mysteries here. 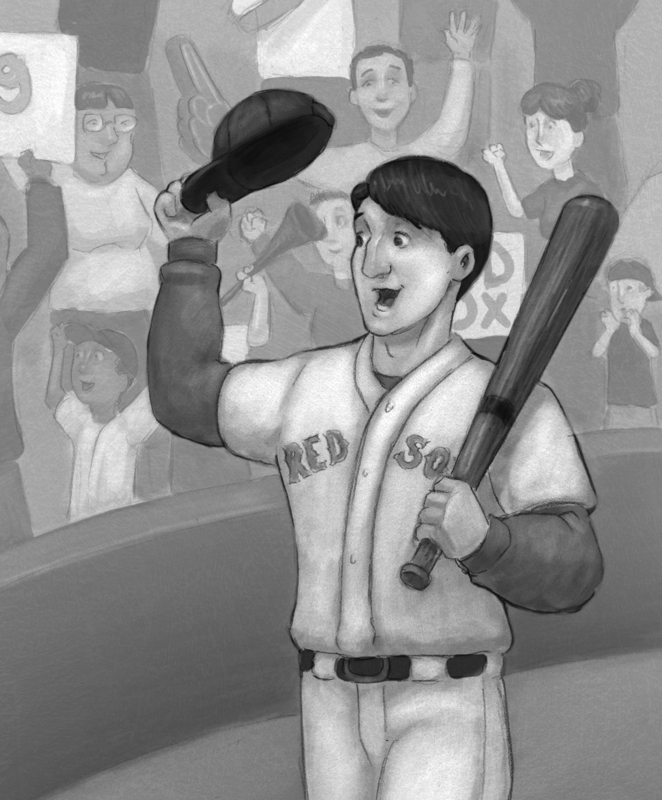 In the first Ballpark Mysteries book, readers get to see how Kate and Mike went to Boston’s Fenway Park and met Big D. But you didn’t see what happened after the book finished. Here’s the missing chapter from The Fenway Foul-Up. A few weeks after Kate and Mike visited Boston’s Fenway Park for The Fenway Foul-Up book, they got an email from Big D, the Red Sox star slugger! You’ll never believe what happened to him unless you read Big D’s email yourself. A quick video book review by Ike from Maine! 7-year-old Matthew Harris sent me his awesome story, The Big Apple Era, based on the Ballpark Mysteries. Matthew sets the story at a Mets game on Mike’s birthday. I like it!!! Thanks Matthew!! You can download and read it here. Here’s a great video send in by the father of Luke, a young Ballpark Mysteries reader. Stick around until the end (don’t worry, it’s a brief video) to see his request for a Mets Ballpark Mysteries book–it’s very, very cute! Luke also followed up with another fan video. In this one, taken back in the spring, he’s waiting for Ballpark Mysteries #9 – The Philly Fake – to come out. But watch out, because he also reveals a spoiler for book #8 – The Missing Marlin!